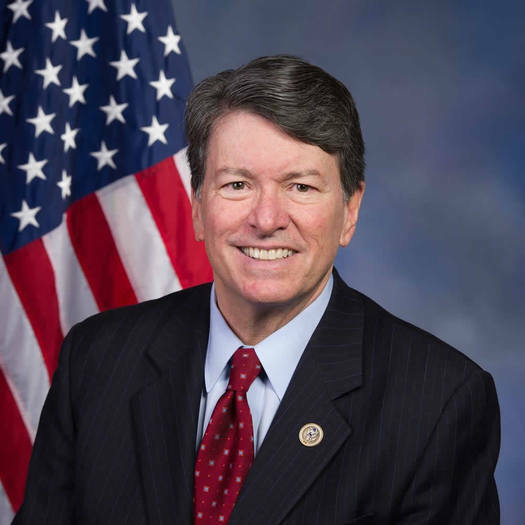 WMHT has a live video town hall program with local Congressman John Faso set to run this Thursday, April 13 from 8-9 pm. It'll be broadcast on WMHT's TV channel, as well livestreamed on its website and Facebook page. So, it'll be interesting to see how this plays out. As WMHT said today in a release, it "expects lively public discourse." As you know, John Faso represents the NY 19 Congressional District, which wraps around the southern end of the Capital Region. He succeeded Chris Gibson in the seat, and it's the Republican's first term in Congress. Faso votes the Trump line 91% of the time - a vote for Faso is a vote for Trump. A virtual Town Hall meeting? This is not a way to hear his constituents concerns, something Mr. Faso has been expertly deflecting. Just more of the same pseudo representation, and why I am becoming political active on a local level for the first time in my 40 years of voting - I am volunteering to help campaign against Mr. Faso. This ground swell of opposition might have been averted had he been responsive and respectful to all the voters in the 19th District. The whole "shouting and screaming sessions" line sounds like it's right out of the playbook for avoiding constituents. Remember, folks: don't be a 'Fashole', engage with people! How would he know anything about Town Halls since he had never shown up for one. If his constituents need to yell at him maybe he better start representing them, not the Mercer's big business oligarchs. Gutless. Hold him accountable in 2018. How could he possibly have voted for AHCA? He is yet another GOP legislator who has relinquished his own thinking to the party line. We didn't vote for a Trump rubber stamp, yet that's what we got. This guy Faso...is a Nitwit. He was trying to explain "risk pool" as if people there were stupid! How about this Faso...go and tell your Wealthy supporters to PAY THEIR TAXES and STOP "Tax Reform" that is CUTTING Taxes for the Wealthy...and with that "extra" Tax money use some for subsidizing the "Young persons that cannot pay" their super-low-risk premiums. If you want to talk about Pre-Existing Conditions AND Tax Reforms then this is what needs to be DONE! If I were the Wealthy...I would cooperate and loosen the purse strings BEFORE $$$ taken or lost! Think with some sort of Sense...Please. How did this guy Faso get elected??? Not too bright when you try to defend something that is beyond defense! "Fashole" Oh, James at 46 or so, bless you for that. Works very nicely. Thank you!